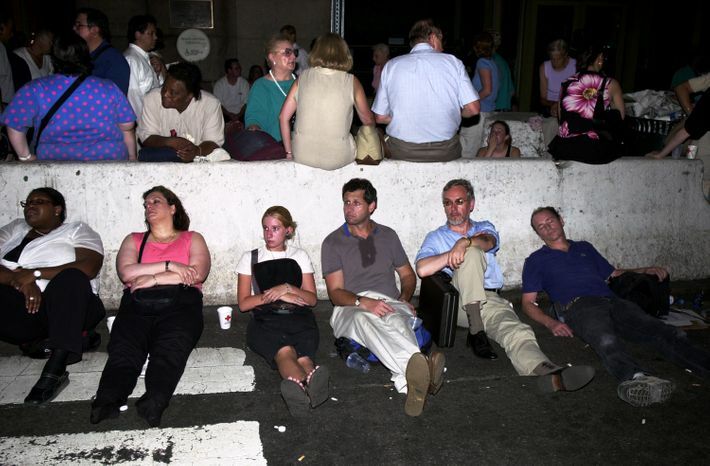 Ten years ago today, New York City and a large swath of the Northeast (and Ontario) lost power. At the time, it was the largest blackout in North American history and the second-largest blackout anywhere, ever. 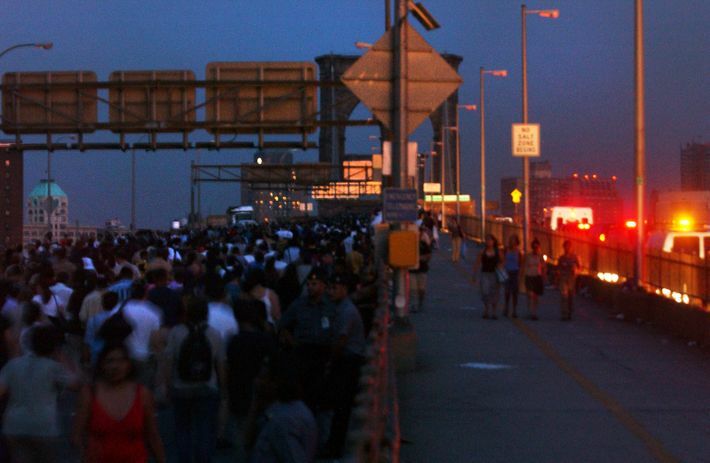 The power wouldn’t be fully restored to New York for two days — a length of time that looks downright quaint, in retrospect, when compared with last year’s Hurricane Sandy blackout. 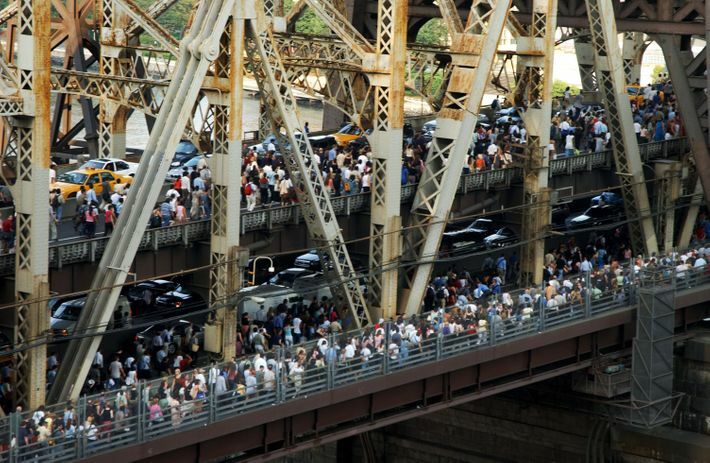 Still, that first day, as sweaty commuters struggled to get home without mass transportation, was one stressful, weird, hot (and actually kind of fun?) day. It was not at all fun for the people who were stranded in Manhattan, like these folks in Grand Central who got tired of standing for a train that wasn’t coming. 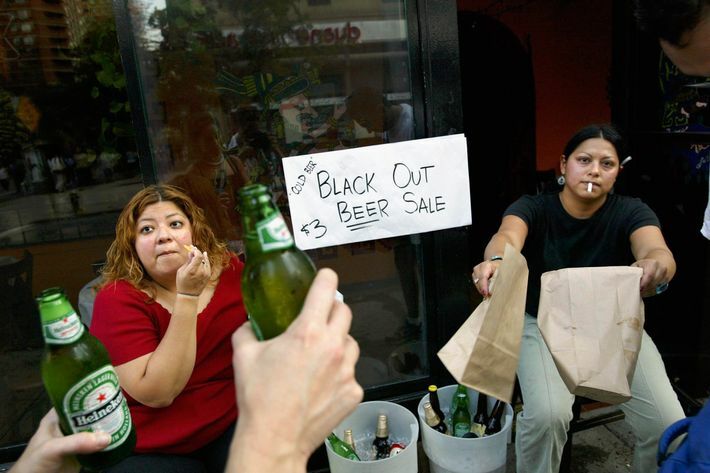 But if they were lucky, they could find some pretty cheap beers. 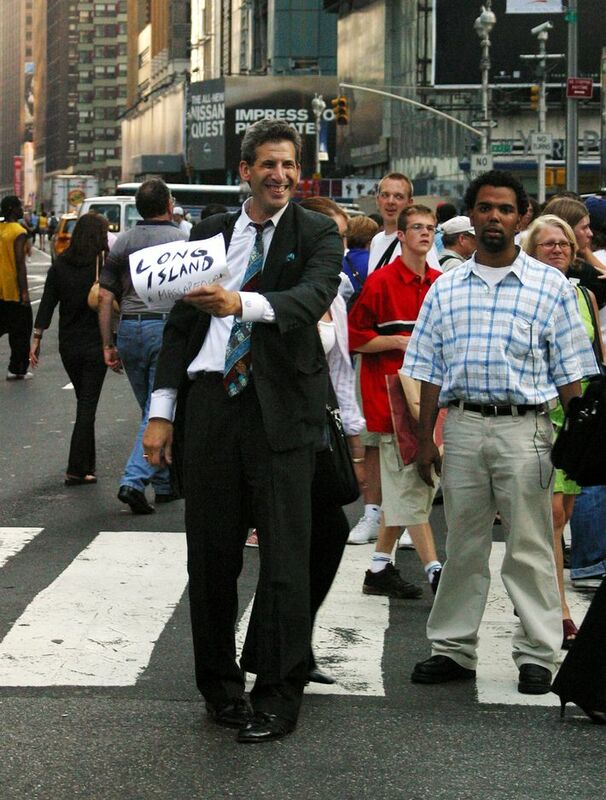 David Eisenberg tried to hitch a ride home to Long Island. 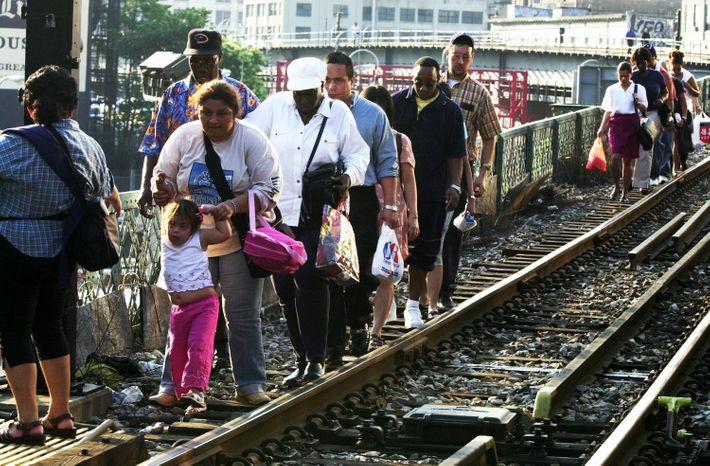 Some people were on the subway when the train just … stopped. And never started again. They got off and walked. Did you know traffic lights run on electricity? Well, they do. You probably should have known that. 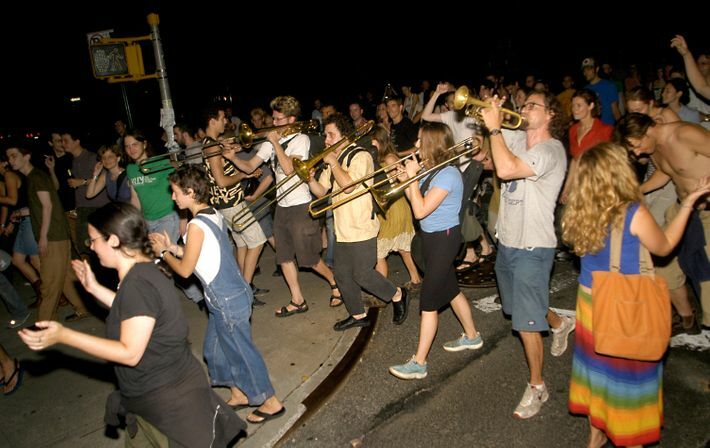 Anyway, this guy volunteered to help out at an intersection in Brooklyn. 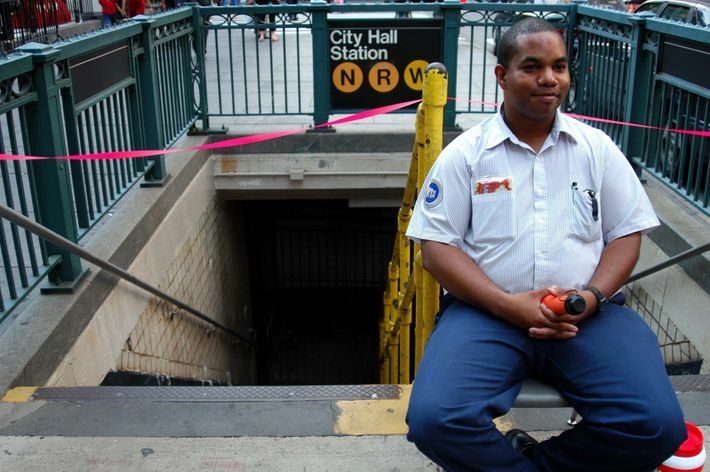 The subway was definitely not working, and this MTA employee sat at the entrance in case the pink tape was not enough of a warning. … and walked and walked. 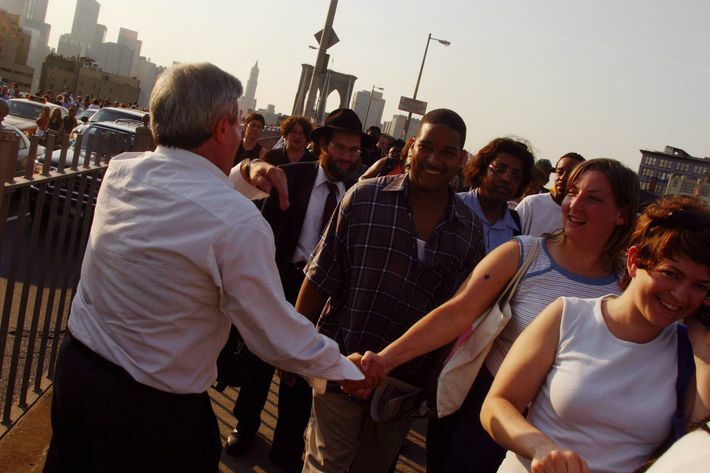 Brooklyn borough president Marty Markowitz was, obviously, there to great constituents as they crossed the Brooklyn Bridge. 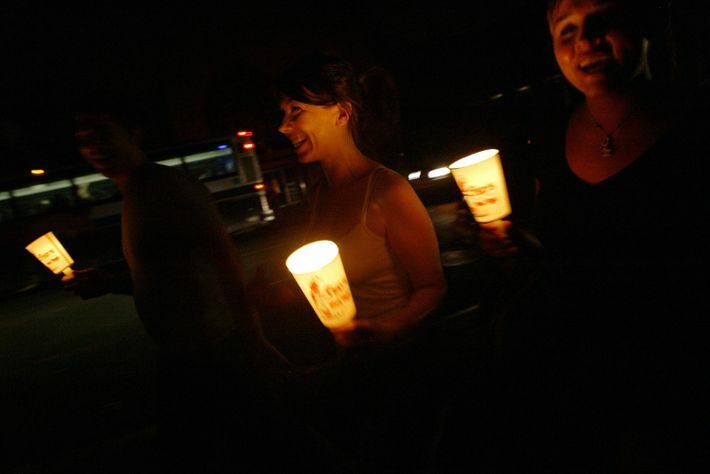 Some people walked with candles in cups, as if participating in a vigil. Maybe it was kind of a vigil … for electricity? Not everybody was enjoying themselves. 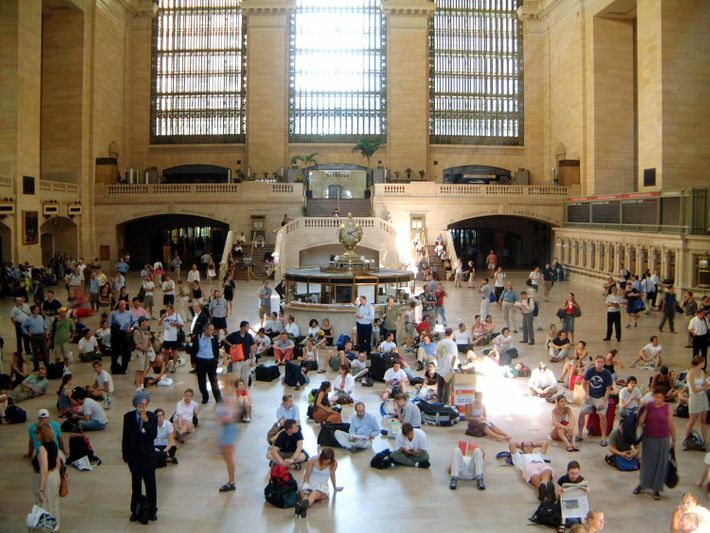 These commuters were stuck outside Grand Central Terminal late into the night. They never left. They’re actually still there today, sitting on the sidewalk. These tourists slept on the sidewalk. Tell all your friends about New York! And yet, spirits remained high. Peachy Garcis, for example, was pumped about finally having an excuse to take a shower in the street.